Learn how to beat Virus on the hardest difficulty in Plague Inc. Evolved. One of the toughest tasks you’ll take on in Plague Inc. Evolved is beating virus on mega brutal. Because of this, we’ve assembled some proven tips that have worked well for us while playing this challenging mode in Ndemic’s pandemic simulator. 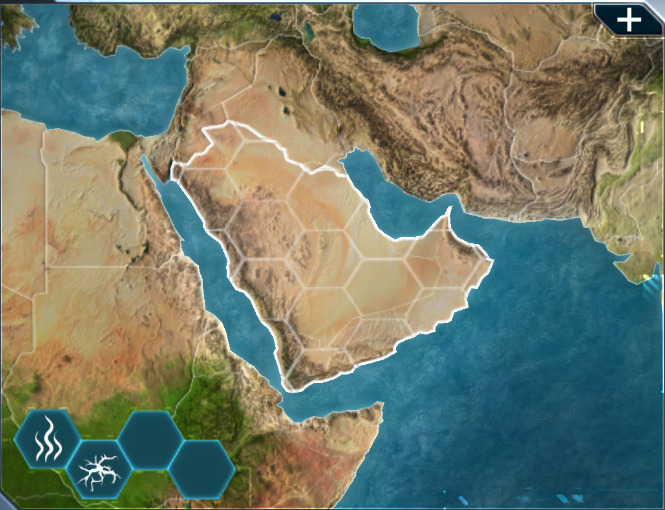 There are a total of 5 important factors to consider when it comes to succeeding in Plague Inc. Evolved. These factors include genetic code, starting country, transmission, symptoms, and abilities. These 5 elements dictate how infectious, severe, and lethal the disease is for anyone who comes into contact with it. Let’s begin with the genetic code of your virus. Genes allow you to customize how your virus responds to exposure in different environments. There are 5 categories that genes fall into and these are DNA, Travel, Evolution, Mutation, and Environment. 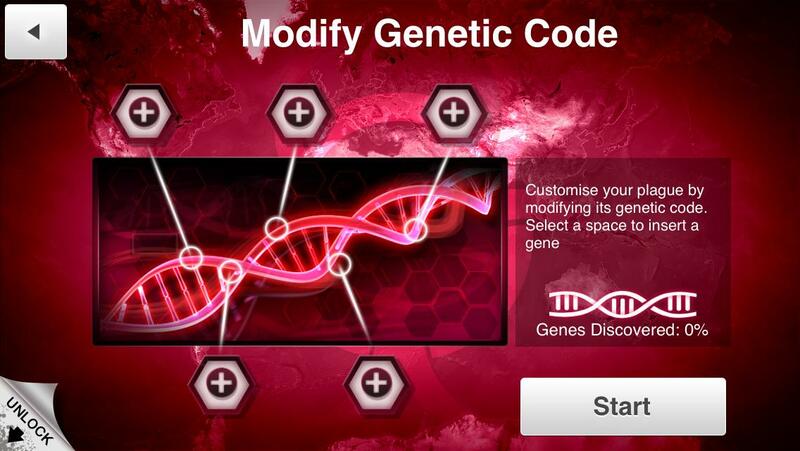 Most of the genes you need to modify the genetic code and beat virus on mega brutal in Plague Inc. Evolved are pretty easy to get. ATP Boost - provides you with 8 additional DNA points when starting. Genetic Mimic - makes any plague harder to cure. Aquacyte - increases chances of transmission by water. Urbophile - increases infectivity in urban countries. Sympto-Stasis - makes plague easier to cure but keeps symptom costs down. These 5 genes will make your virus particularly effective in urban countries which contain a big portion of the population, islands which are the hardest places to infect, and makes it particularly lethal from the very start. There are a number of starting countries in Plague Inc. Evolved that are super effective in contaminating the world but in this instance, Saudi Arabia will do the trick. When your goal is to beat virus on mega brutal, then you need to start somewhere that can spread disease quickly. Saudi Arabia borders 5 countries (Egypt, Sudan, Yemen, and Oman) along with having a pretty active airport that lands in all other airports all around the world. Now that we’ve modified the genetic code and have chosen our starting country, let’s look at the abilities and transmission options we’re going to evolve. It’s important that you do this in the order that they are specified in to get the results you want. Unlock Viral Instability and evolve it to level 3. This will make the DNA of your virus unstable and cause it to randomly mutate. Under transmission, unlock Water 1, Air 1, then Water 2. Remember, Aquacyte was one of the genes we added to the genetic code so water transmission will be particularly effective. Head back to abilities. We’re going to work up our virus’ resistance to cold, heat, and any potential treatment. Unlock Cold Resistance and evolve it to level 2. This will help spread our virus to colder climates such as the infamous Greenland. Unlock Drug Resistance and evolve it to level 2. This will prevent any early treatments from succeeding and buy us more time to infect. Unlock Heat Resistance 1. This will help the virus survive in hot and humid climates such as Africa and Madagascar. Back under Transmission, evolve Air to level 2 and then unlock Extreme Bio-Aerosol. This lethal tier 3 transmission can infiltrate any air/water filters, and increase infectivity on planes/ships. Unlock Bird 1 and Rodent 1. This will speed up transmission in urban countries and assist in infecting countries with closed borders. You should be in the late stages on the Earth’s end and that much closer to beating virus on mega brutal in Plague Inc Evolved. There’s one factor that we haven’t even looked at yet and it’s Symptoms. Remember when we started the game by unlocking Viral Instability and evolving it to level 3? Well now, you’re virus should have mutated several times, unlocking numerous symptoms, all on its own. Use remaining DNA Points and focus on slowing research and increasing fatality rates. Below, you’ll find some suggestions. If you’ve followed this guide closely then you should be celebrating with a victory screen in front of you right now. We hope this was informative and has taught you a few tips for destroying the world in Plague Inc Evolved. Make sure to check out some of our guides for other mobiles games such as Battle Bay and C.A.T.S. !